In light of the recent Facebook data breach and rampant fake news, more and more people are taking a break from social media – and that fact comes with some serious implications for your company. People are on social media less and they have less faith in content they see there. Ultimately this social media mistrust means that your followers might not see your posts or they may not trust the content you post. Businesses that heavily rely on social media to promote their products or services could take a hit. At a minimum, your return on social media marketing investment could be impacted. Social media is facing some major problems. Facebook’s data breach undermined user confidence in the social media giant, prompting many to go elsewhere or at least limit their time and posts on the platform. 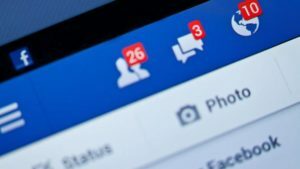 According to research agency Toluna, almost 8 percent of people polled say that they deleted their Facebook accounts after the news broke and more than 34 percent changed their privacy settings – and the impact of the Facebook data breach was not limited to Facebook alone. Toluna found that nearly 74 percent of people will be more careful about the information they share on other social media platforms, including Twitter and Instagram. Add to this the problem of “fake news” that has been so rampant, and you have a real problem. “The public is waking up to it, and turning their backs on news in general as a trusted source of information,” explains The Drum. “People are losing faith in the media, period. And that could see PR retreating even further into the shadows as the industry’s reputation slips ever lower.” People are paying less attention to the news than ever before. They assume that facts are exaggerated or overstated, all in the hopes of generating clicks, shares, and likes – so they stop paying attention. And, pretty soon, they will have less chance to pay attention anyway. In response to public outcry, Facebook is renewing its commitment to “bringing people closer together.” In January, the social media company announced that it would start prioritizing posts from people over companies. “Because space in News Feed is limited, showing more posts from friends and family and updates that spark conversation means we’ll show less public content, including videos and other posts from publishers or businesses,” says Facebook. “As we make these updates, Pages may see their reach, video watch time and referral traffic decrease.” While the extent of the decline in traffic will vary by Page and the quality of the content it produces, it still has important implications for your company. Namely, you are going to need to change your strategy if you want to keep getting the same return on your marketing investment dollars. The question is how can you drive ROI in this era of mistrust. User-generated content is trusted more than other types of content. 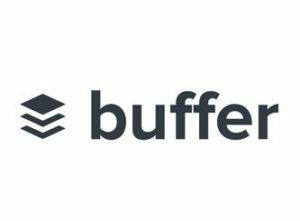 According to Buffer, when content is user-generated is produces engagement that is seven times higher than brand-generated posts. People also trust user-generated images more than brand-generated ones. Plus, around 56 percent of all people will buy a product after seeing a positive user-generated post. The way your followers consume information is changing too. The rise of video has certainly been a thing. Research firm Kenshoo says that social video advertising went up 130 percent year over year and it isn’t slowing down – yet. News Feeds are being saturated with video but Facebook’s algorithm change is going to limit some of that. Companies pursuing a video-based strategy will need to up their games and create content that truly sparks discussion instead of passive likes. Instagram Stories presents one of the best opportunities. Add tags and text to short recordings of your company’s products, processes at work, store fronts or staff. They are searchable and visible by everyone – even people who are not your followers. You can also use Facebook Live. Either one is a great way to take your followers on a journey, to an experience they can’t get on their own. Whether you feature an exotic travel location, a glimpse inside your factory, or an interview with someone popular in your industry, video is often seen as more legitimate than still images that are easy to manipulate. In this modern era of mistrust, your attention needs to be on how you can develop trust with your customers – and that may involve getting off the computer. Try to form relationships with your customers that are offline by putting your attention on meeting people face-to-face. Whether it is a business event or mixer, workshop or expo, happenings that allow people meet the owner of your company, its staff, or its management can help you develop lifelong relationships with your customers. Plus, when you put your efforts in personal contact, you also create opportunities to allow would-be customers to sample, demo, and feel your products. Make sure you are spending your marketing budget to produce the highest return on investment possible by paying attention to what is happening in the marketing industry. Changes in social media algorithms and consumer media consumption habits are bound to have an effect on how well your marketing content achieves its goals, be it more subscribers or more sales. Change your approach to meet these changes head on and you can drive your marketing ROI, despite any mistrust of the platform. *This article originally appeared in the May/June issue of Arizona Business Magazine.